Who is your favorite costume designer? Having the right costume in a film is right up there with having the right music score. 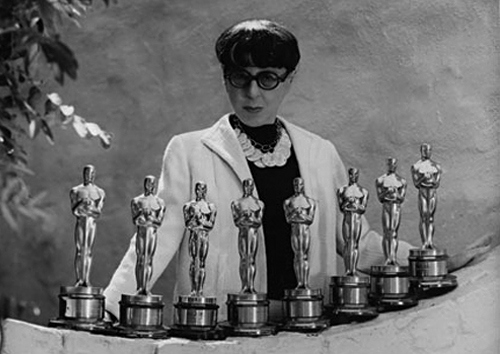 Edith Head was the Hollywood queen of costume design during her illustrious fifty year career. Is there is a correlation between best costume and the actress who wears it? That is, the more elegant the attire the brighter the star? 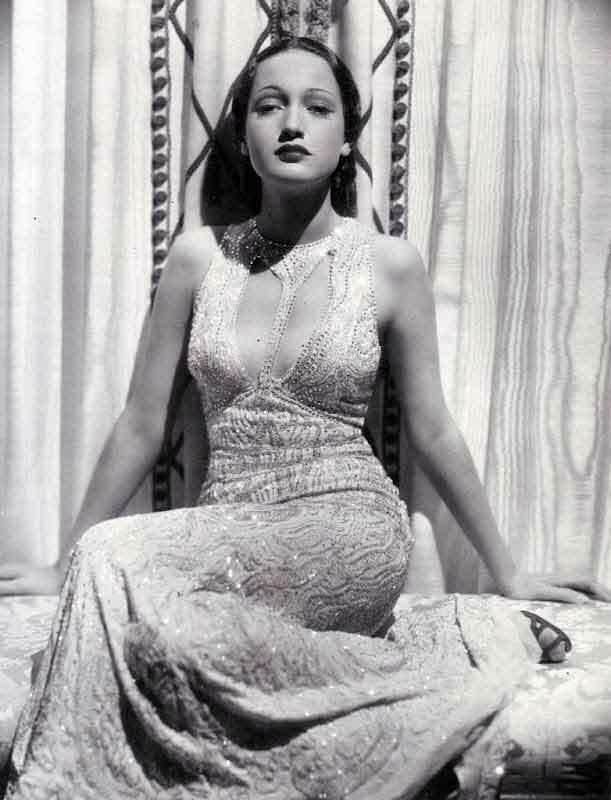 From Grace Kelley to Dorothy Lamour to Audrey Hepburn and hundreds in between, Edith Head designed more fabulous dresses than anyone and the actresses who wore them became larger than life. After Edith Head passed away in 1981, new costume designers set out to establish their reputations. 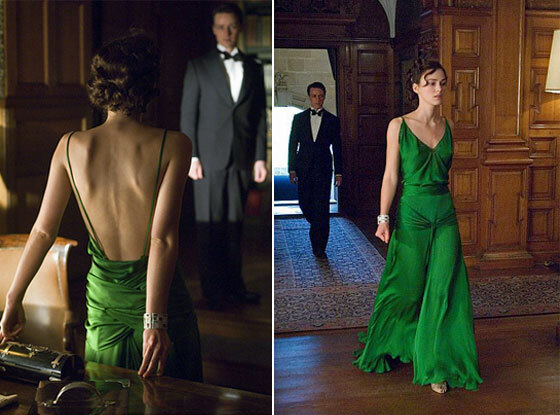 The other day I read the Time Essay reader’s poll of favorite costumes in film, and the winner for finest dress ever in a film went to Keira Knightley’s emerald gown in Atonement. Alexandra Byrne is a current costume designer who is a particular favorite of mine. She designed the exquisite period pieces in Elizabeth and Elizabeth: The Golden Age for which she won an academy award. Which costumes from Hollywood’s history stands out for you? What film’s legacy rests heavily on the costume? As I’m not someone who know much about fashion, I’d pick whoever my fair Audrey wore in whatever picture she starred would be my pick. Beautiful. These really are stunning costumes. Hi Malcolm, it’s hard not think of these actresses as mere women when they wear such gorgeous gowns as these. The gowns truly elevate them to the stratosphere. 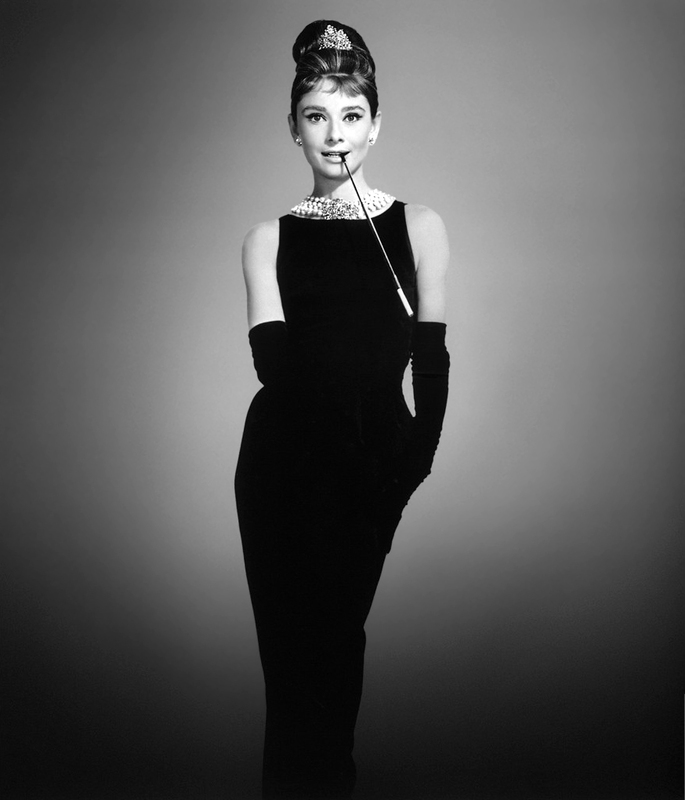 Nothing beats Audrey Hepburn’s little black dresses from Breakfast at Tiffany’s (61′). 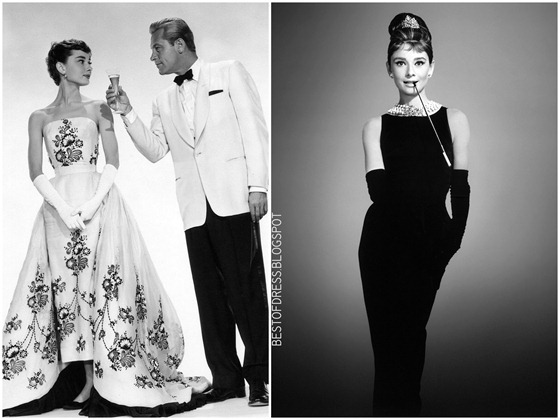 With the simplicity of the black dresses and the naturally elegant Hepburn’s charming good looks, that iconic look from ‘Br @ Tiffzzz’ is a class apart. Couldn’t agree with you more, Nuwansen! Only she could pull off that ensemble. Edith Head is tough to beat, which is why hers is the only name I know without research. I had to look up Eiko Ishioka, but she makes Mirror, Mirror (2012) almost watchable, single handedly. The rest of the movie is sheer rubbish, but her costumes, at times, almost make you forget as much. Can’t say I know much of her other work but still a name I thought worth mentioning. This hugely important aspect of film making is something I never think about. ??? Not sure why? Of course Edith Head is the queen of the lot – back lot or otherwise. But I’m sure there are other very worthy artists plying the trade. I’ll have to pay more attention to this in future. Thank You !! look at all those dang oscars !! is that a record for Oscar intake ? Yes, for sure. 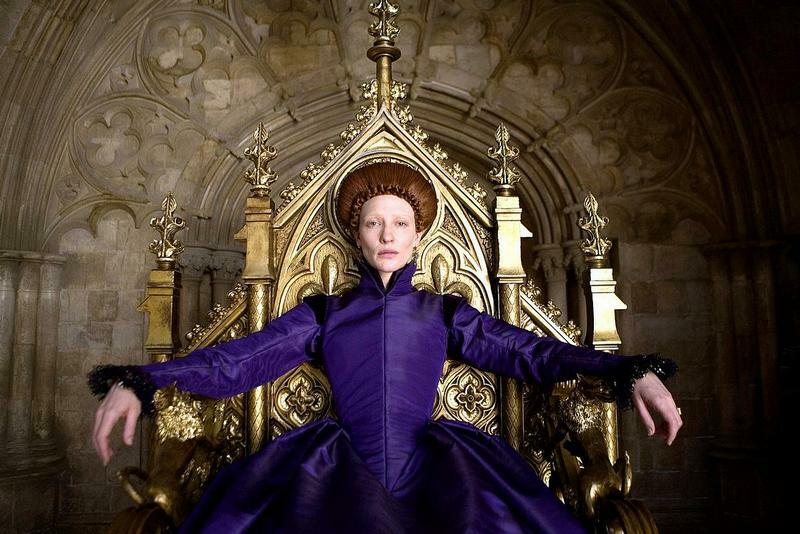 The most a female has won in Hollywood and the most a costume designer has won. 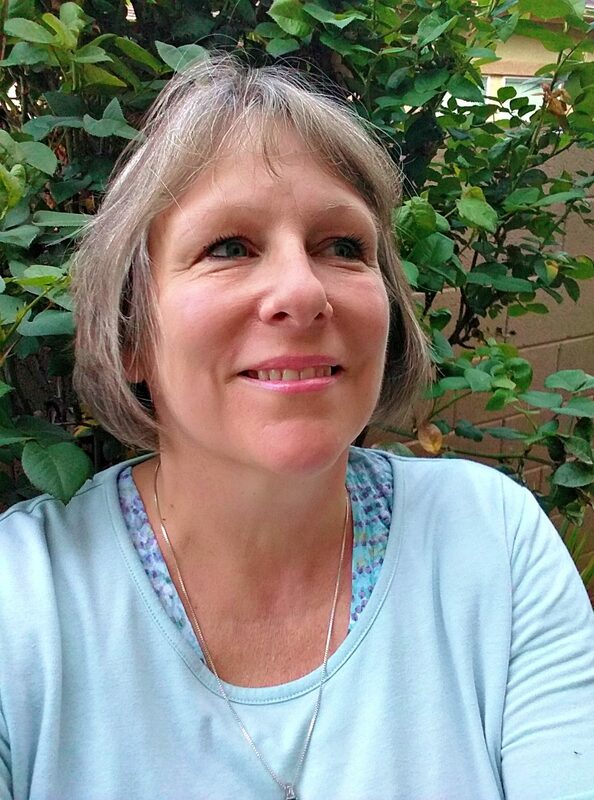 All those legendary actresses benefited from Ms. Head. I’m way over my head with this category, but stunning dresses. I am not a dedicated follower of fashion, but I like the implication that the “star” is a result of the costumes she wore and when they wore Edith Head, they became more iconic. Similar theory that if you have John Williams creating the score to your movie, chances are it will elevate in stature and become a contender during awards season.